Make no mistake about it, gentlemen; all women lie in certain situations and your girlfriend is no exception. Sometimes she’s only telling half-truths to keep the peace. Sometimes her motives are to protect her own feelings or to cover her tracks. Whatever the case, certain lies occur much more frequently than others. 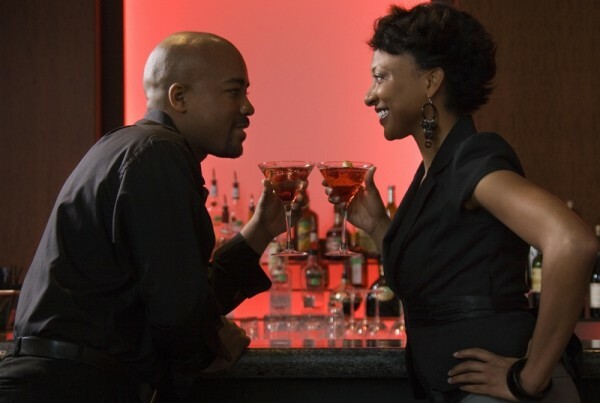 Here are five lies women commonly tell men. It does matter how much you make. People do have to make a living, and they need to have some sort of means of support. Women love the feeling of being taken care of, and they want a guy who is financially stable and independent. This lie is one of the most frequently used in relationships, and even if she pretends that she doesn’t care, her eye rolling and passive-aggressive behavior are dead giveaways that she’s angry with you. A woman expects you to magically predict when she doesn’t like something you’ve done, even if she’s hiding it. So, unless you’re a mind reader, you’ll have to listen to your woman and get her to actually talk about what’s bothering her. Although she puts up with you day in and day out, do you really think there is nothing about you that she wouldn’t change? Soon enough the truth will come out and she’ll be re-sketching better versions of you. The reason a woman will omit a few escapades from her history is because she is ever fearful of being seen as “easy.” She wants you to make her feel confident that your opinion of her doesn’t lie with her sexual history—and that no matter how many guys she has been with in the past, she’s still pure in your eyes. Granted, some women do actually enjoy sports, but more than likely, she’s making a desperate attempt to gain your attention and connect on with you on a “guy level. Chances are if you ask her any details about stats or players, she’ll come up short. Truth and lie are 2 coexisting influences dat av grown with d world rt from d Adamic Ages. So we av 2 live by dem BUT wit some reasonable degree of wisdom and intelligence. This two factors (d truth & d lie T/L) are partners & co-factors dat live together just like d Man & d Woman (M/W). BUT d amasing thing is dat T/L av learnt to coexist without visible conflict except there is an external igniting influence. Therefore d M/W relationship can coexist similarly. It is a lie 2 say M/W relationship can b without d little bits of d lieing being demonstrated, ABI? t's true we may say we're not "mad," when we are. But it's not really a lie, it's more about keeping the peace. That's what relationships are about. You don't always say everything that is on your mind, you don't always act based on your emotions, because emotions change. When two mature people enter into a relationship it will be about helping and honoring the other person, and not making decisions based on your emotions is the number one thing we learn to do as we mature. Attitude is every thing in life. U can not change ur physical apearance but u can change ur atitude and once ur atitude can change ur life can also change.